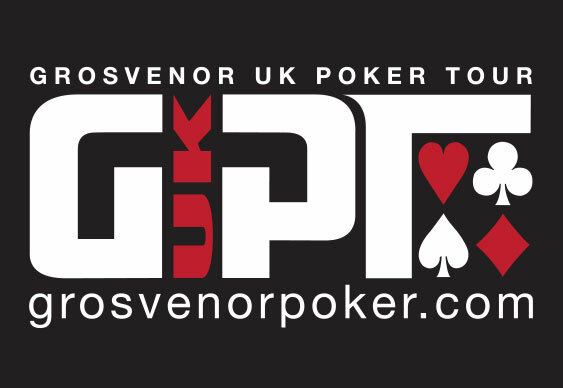 The schedule for the upcoming tenth annual edition of the Grosvenor UK Poker Tour (GUKPT) has been released with stops planned in London, Coventry, Reading, Leeds, Luton, Blackpool, Edinburgh and Manchester. The GUKPT is now Great Britain’s longest-running live tournament series and next year’s edition is set to kick off at the Grosvenor Casino The Victoria London on January 24 for an eight-day extravaganza featuring a £1,100 ($1,661) buy-in main event with a £200,000 ($302,114) guarantee. The action will then head to Manchester’s Grosvenor Casino Bury New Road from February 28 for another eight days of competitions incorporating a second £1,100 buy-in main event with a £200,000 guaranteed prize pool. The GUKPT main event buy-ins dip to £550 ($830) for subsequent 2016 legs in Reading, Leeds, London and Edinburgh beginning in April with each of these competitions having unconditional £100,000 ($150,941) guarantees. However, the £200,000 main event guarantee returns for the Luton leg of the GUKPT, which is due to begin on October 2 from the Grosvenor Casino Luton, while the ensuing Blackpool stage kicking off on November 6 will additionally come complete with a £1,100 buy-in game. The 2016 edition of the GUKPT will then end back in Westminster with its Grand Final, which is to take place from November 20 to 27 featuring a £2,125 ($3,205) buy-in alongside a chunky £400,000 ($603,316) guarantee. The GUKPT has also confirmed that its popular 25/25 Series is to return for 2016 as will its record-breaking Goliath event, which is to run from July 30 to August 7 at the Grosvenor G Casino Coventry complete with a £120 ($181) buy-in and guaranteed prize pool of £250,000 ($377,034). Rounding out the 2016 schedule will be the £36 ($54) buy-in Grosvenor UK Student Poker Championship, which is to hit Coventry’s Ricoh Arena casino from April 4 to 14, with players able to qualify for every one of the upcoming events online. “It has been another great year for poker at Grosvenor Casinos,” read a statement from the GUKPT.